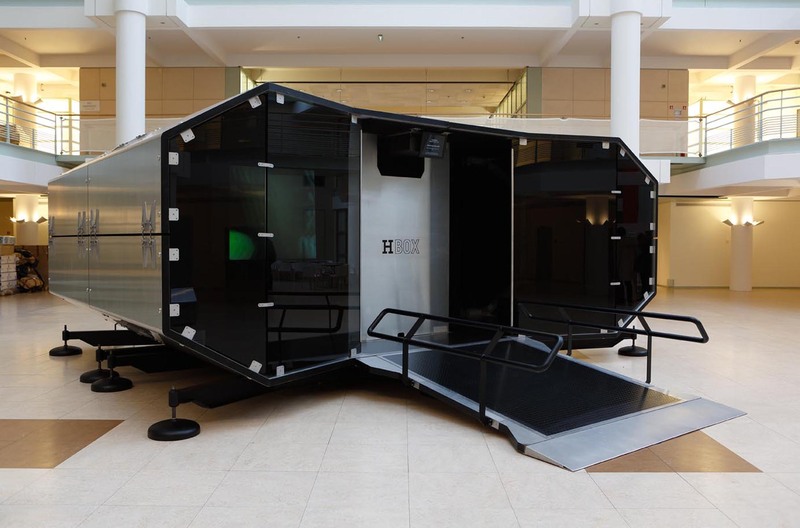 Easily dismantled, inventive in construction, the H Box boasts cutting-edge visual and audio equipment. A splendid travelling screening environment measuring some 20m2, it will show works fostered by Le Fresnoy and especially creations by young artists co-produced by Le Fresnoy and Hermès. 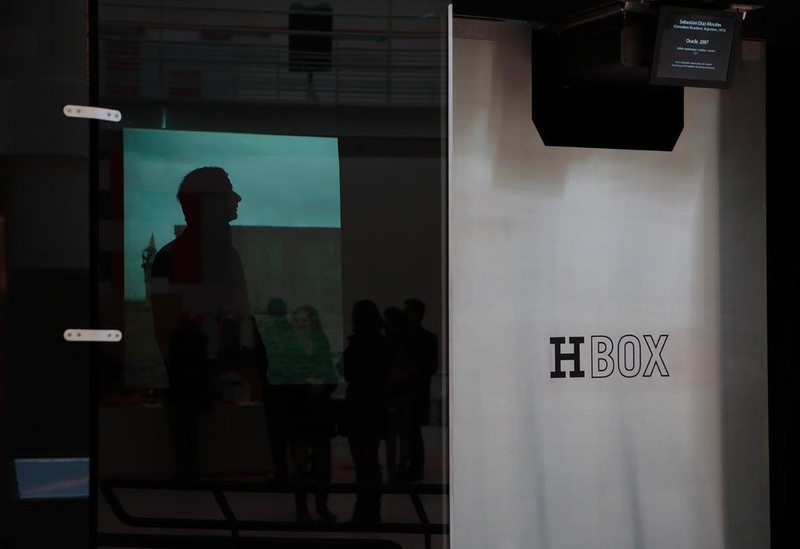 The H Box began its tour in 2006 at the Centre Pompidou, Paris, before crisscrossing the world from Europe to Asia and concluding in 2012 with a first cycle of screenings in the lobby in the Ateliers Hermès, Pantin. In 2013, the Hermès Foundation lends the H Box to Le Fresnoy for three years, offering it a new lease of life in a new home in the Nord-Pas de Calais. The H Box / Le Fresnoy Studio Hermès project sees the light of day! And what could be more appropriate than for a peripatetic space dedicated to screenings of artworks to make its home at Le Fresnoy—a hub of video and digital production if ever there was one? And it can hardly be a coincidence that the roster of artists for the debut H Box schedule includes a number who have spent time at Le Fresnoy, as onetime students or as guest artist-teachers: Yael Bartana, Sebastian Diaz Morales, Valérie Mréjen... A further telltale sign of this ongoing interchange is the fact that Benjamin Weil—who oversaw the artistic direction of the H Box in 2012—has latterly been appointed curator of Panorama 14. Perhaps there’s a link here with the decision to present Le Fresnoy with the responsibility of pursuing the H Box adventure and of ensuring it has enough forward-looking new projects to screen? In any event, all those, be they cognoscenti or inquisitive newcomers, who venture into this enveloping, muffled space, will discover works that, in one way or another, carry them off to other worlds—worlds of sensitivity and poetry that have roots in the lives of us all and yet which open doors to journeys beyond the self and out into the heart of art. All are bound by the same demanding standards, the same standpoint on art, and, most especially, the same conviction and drive to astonish and thus interest the wider audience. 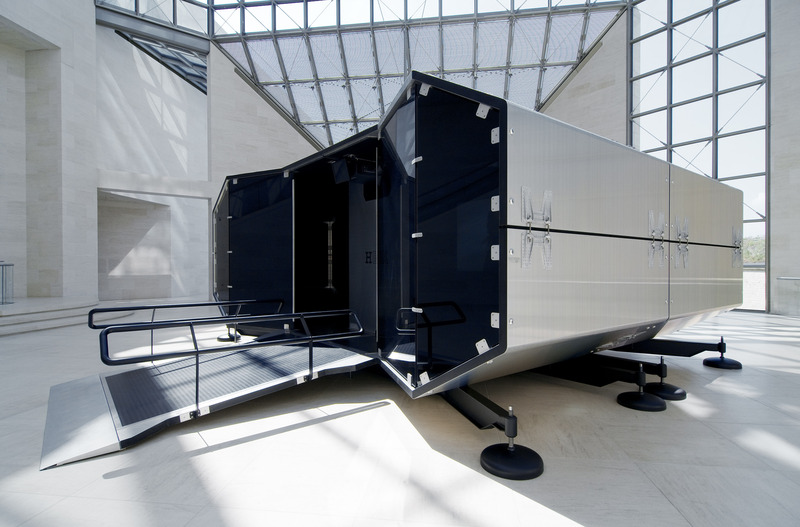 Today, the H Box, now dubbed the H Box / Le Fresnoy Studio Hermès, embarks on a new adventure as it docks at Dunkirk Regional Capital of Culture in the brand new locale of the FRAC North-Pas de Calais (or FRAC / AP2), for a stint from November 17, 2013, to May 4, 2014, at the core of an international collection with which a dialogue has been engaged. Le Fresnoy, the Belvédère is being turned into a venue for interaction and exchange, the face-off between the works spawning a probing interactionwith the environment. In parallel with this gift, every year the Fondation d’entreprise Hermès will offer backing to video productions by five students at Le Fresnoy for works that will join the schedule of the H Box / Le Fresnoy Studio Hermès on future legs of a tour whose remit is to reach out to the public in interaction with the characteristics of each venue—with its history, its present, its artistic ambitions, and its future. * Students, seniors, demandeurs d’emploi, membres des amis des musées, chèque crédit loisir.